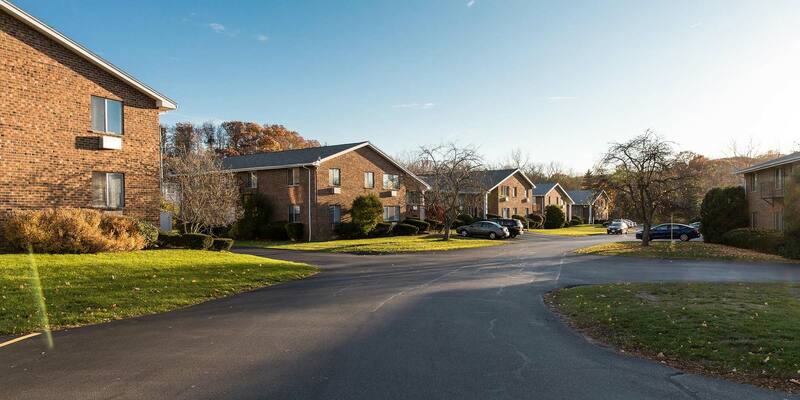 Pennwood Apartments offers the best of both worlds, with shopping, dining, and entertainment just outside your door, with a quiet wooded property to call home. It features a beautiful in-ground swimming pool with tanning deck, landscaped courtyards, laundry rooms in every building, and 24-hour emergency service. Apartments offer updated kitchens and bathrooms, and air conditioning. We accept only domesticated pets (e.g., dogs and cats). The pet may not be larger than 25 pounds at maturity. Also, veterinarian verification of current shots, inoculations, and spay/neutering must be presented at management office.